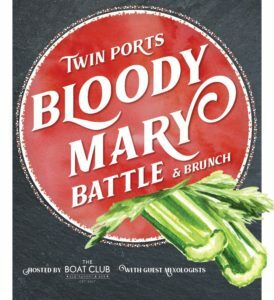 Ticket price includes Bloody Mary samples from our guest mixologists and brunch by the Boat Club. Must be 21+ to attend. SOLD OUT! Thank you for your interest, we plan to host this event again in the future, stay tuned!